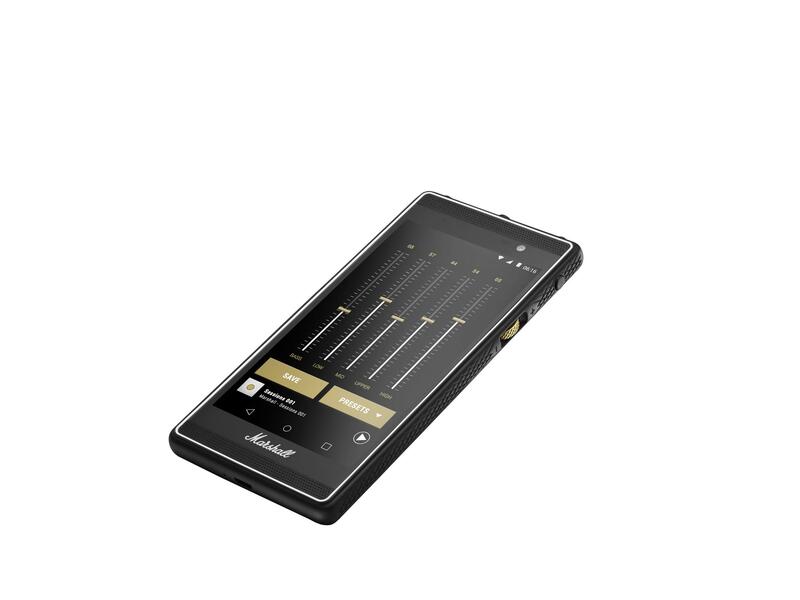 The London, Marshall's first ever smartphone, is a stylish device fully designed for music lovers. With the textured, rubberised casing, and white Marshall branding, this phone is undoubtedly unique in its aesthetics. Also unique, are the two 3.5mm jack inputs allowing for two listeners at once, complementing the twin front facing speakers. Sound is clearly a key focus area for Marshall, so the London comes with aptX™ codec support to allow superior quality Bluetooth® audio streaming with compatible devices.